It's a first edition. It's totally unique. It's your notebook. Your thoughts deserve a beautiful environment. 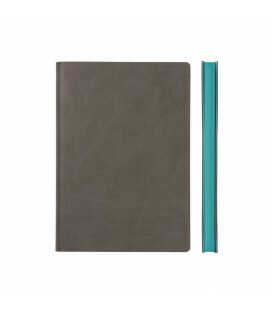 And that's exactly what they get when you write them in a stylish Daycraft Signature Grid Notebook.The Daycraft Signature Notebook is available in Black, Brown, Green, Grey, Light Green, Pink, Purple, Red, Yellow and Magenta.